From Deepika Padukone's bridal jewelry cost to what the couple will wear for their wedding? Here're all the answers! 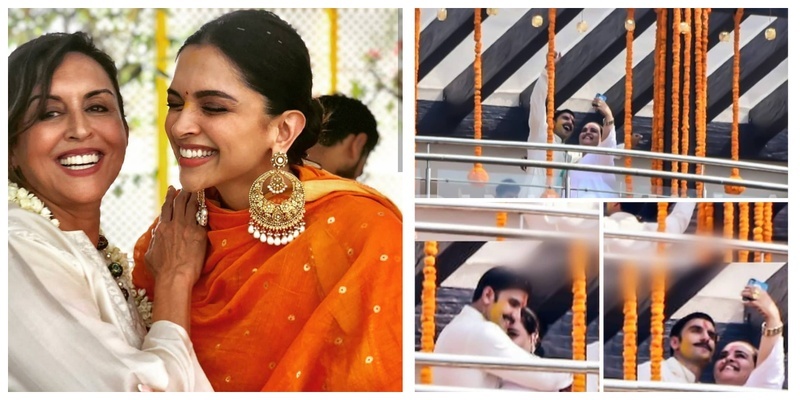 While the pre-wedding festivities have already taken the internet by storm with Deepika’s pooja at her Bangalore residence and Ranveer Singh’s Haldi at his Bandra residence, I am just beginning to wonder what the wedding will do to my Instagram feed. Yes you read that right. Sources claim that DP has spent a total sum of Rs. 1 crore on her entire jewellery, which includes a chain for her fiancé too. Deepika has already shopped for her mangalsutra and it contains a BIG-FAT solitaire. While that along should be worth a whooping INR 20 lakh, I can't even begin to wonder what the whole thing might be worth. Reports say that, while Deepika picked the wedding jewellry from a leading store in Andheri, the showroom was closed down half an hour early owing to the star's visit! Anyone else feeling the #Nickyanka vibe? Here’s holding my breath and awaiting the big-fat desi wedding at Lake Como!